Mr. Kazutaka Ejiri embarked on a major career change over 15 years ago after suffering from a lower back hernia caused by heavy lifting working in a liquor shop. He decided that he would like to bring relief to other people experiencing this painful injury. 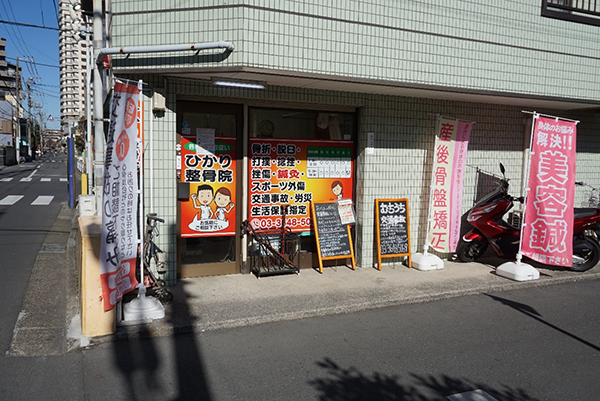 In 2008, after obtaining qualifications in judo therapy, acupuncture, and moxibustion, and working in a clinic for a period, he opened the Higashi-suna Hikari Acupuncture & Chiropractic Clinic. 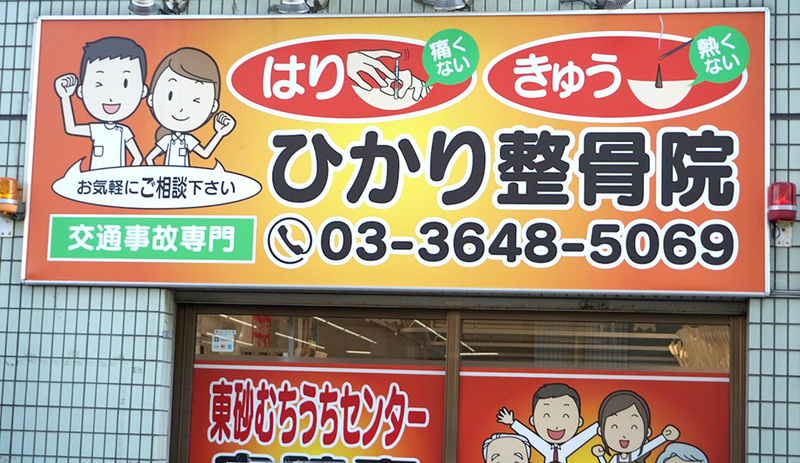 The clinic, with its bright, cheerful signage, is a 10-minute walk from Ojima Station, in Higashi-suna. Here, traditional Japanese remedies and modern therapy come together to help patients suffering from joint and muscle pains and strains. As Mr. Ejiri puts it, hospitals only offer the limited options of surgery or medicine, and if these do not work the patient must seek relief elsewhere. 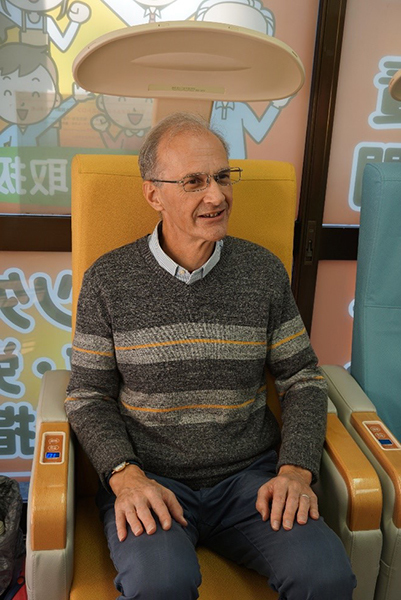 What his clinic offers is a combination of manipulation and acupuncture, designed to bring the patient relief from pain, grant them some mobility, and provide them with a relaxing, good night’s sleep. All treatment kicks off with a medical interview, which includes reviewing the patient’s lifestyle and habits. Mr. Ejiri adheres to the Oriental medical belief that a person’s internal physical condition manifests itself in the skin and face; accordingly, the interview takes into consideration the patient’s complexion, skin condition, and way of speaking. Based on this, Mr. Ejiri will suggest a course of treatment and after obtaining the patient’s “informed consent” the remediation will begin. A course is intended not only to relieve the immediate discomfort but also to prevent a re-occurrence of the problem, and will include elements of sleep, exercise, and diet as well as correcting body posture. The clinic’s line of work is not confined to physical manipulation. 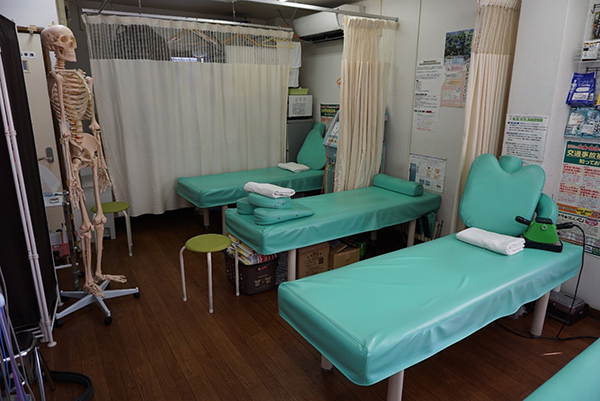 Mr. Ejiri is ably assisted by Ms. Nami Udagawa, who provides the clinic’s female touch, and is also there to reassure female patients who may feel uncomfortable being treated alone by a male chiropractor. 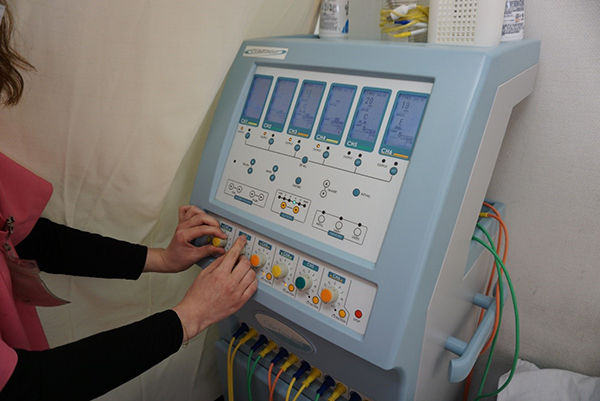 Her specialities are EMS (Electric Muscle Stimulation) and facial therapy, including acupuncture. 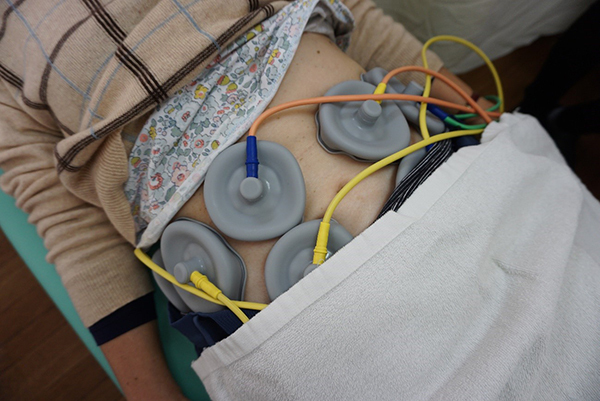 EMS involves applying a series of suction pads to the patient’s midriff and then controlling the flow of a series of high frequency electric pulses which pass through the body and burn away the subcutaneous fat. The process is apparently also effective in combatting constipation. My wife volunteered to have a go, and Ms. Udagawa set to work attaching the suction pads. After 15 minutes of EMS, which she likened to a gentle finger massage, my wife came away feeling relaxed and pleasantly sleepy. Whilst the EMS was doing its job, Ms. Udagawa also applied an electric roller to the face. This device is said to lift and stretch the skin and tone up drooping facial muscles. Ms. Udagawa also carries out facial acupuncture which lifts and stimulates the skin. As she says, she has undergone the treatment herself, and so knows how it feels, and what the results look like. And with regard to diets, if all else fails there is always the drastic “kill or cure” approach. Mr. Ejiri showed me a pack of Rooibos tea, which is claimed to be effective in body detox treatment and is said to cleanse the innards. 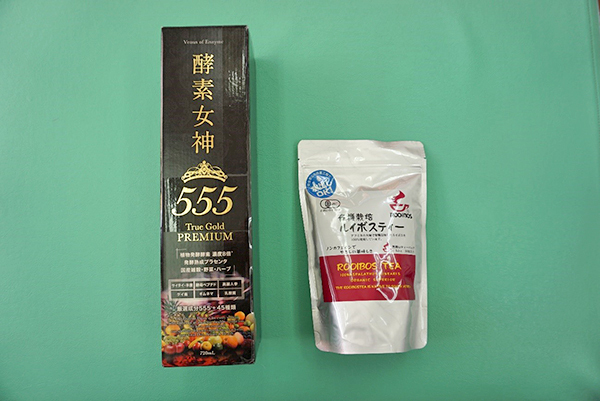 He also brought out a bottle of Enzyme Goddess, which, when he drank it as part of a starvation diet regime, he swears it caused him to lose an incredible 5 kilogrammes in 3 days! “Of course,” he said, laughing, “in my case, as I enjoy my food, there was the inevitable ‘rebound’ when the course stopped”. 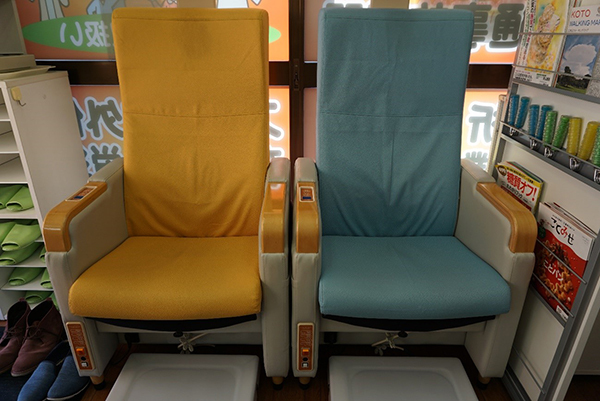 As we were leaving, I expressed interest in the two Healthtron chairs sitting next to the clinic’s entrance. When we entered the clinic, these had been occupied by two senior ladies, who seemed to be having a lot of fun. Mr. Ejiri sat us down in them, explaining that they were effective aids to curing constipation, sleep loss and poor blood circulation. He did warn us, however, not to hold hands or touch any nearby metal objects, as he turned on the current and 20,000 volts pulsated through the chairs. All we felt was a pleasant tingling in the lower spine as well as a slight sense of apprehension. And we kept our hands firmly placed on our laps. And the average cost of treatment? 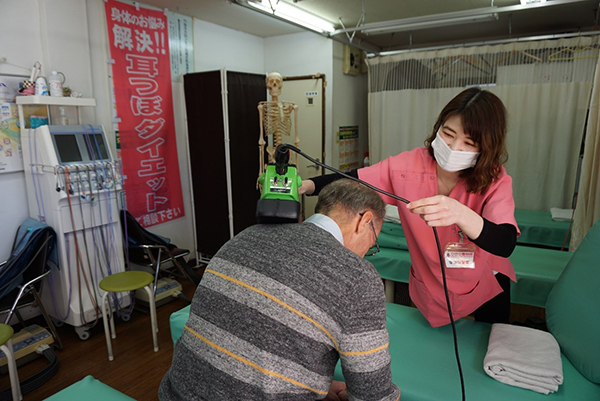 Mr. Ejiri says that an introductory session is half-priced at 2,980 yen and there are discounts for a series of regular sessions covering cure and maintenance. This seems a reasonable price to pay for relief of lower back pain, which may be why patients come from some distance for treatment at the hands of Mr. Ejiri and Ms. Udagawa.